Let our accountants create value for you. Developing a successful financial strategy for your business, your family, and yourself has become more difficult than ever. The economy is creating challenges across industries. Tax and health care laws change daily, and regulatory oversight grows increasingly intense. In this complicated environment, businesses need more than a casual relationship with an accountant. They need a business advisor who can help them navigate business and financial matters. Brady Ware CPAs can fill that role. Our highly experienced accountants have guided clients through complex financial and tax issues since the early 50s. And we are well-prepared to help you navigate the 21st century financial and regulatory landscape. We combine unparalleled tax, audit, and advisory expertise with industry-specific knowledge. And we work with you collaboratively and efficiently to create the custom financial solutions that fit your needs. Brady Ware’s solutions keep you compliant, minimize your tax burden, improve operations, and free up the capital your business needs to grow. Ready for a new perspective on your business? Explore our comprehensive suite of services. Brady Ware is an affiliate of the following organizations. 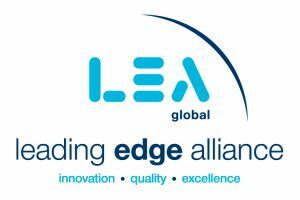 Founded in 1999, LEA Global is the second largest international association in the world, creating a high-quality alliance of more than 180 firms focused on accounting, financial, and business advisory services. LEA Global firms operate from more than 450 offices in 100 countries, giving clients of LEA Global firms access to the knowledge, skills, and experience of more than 1,600 partners and 23,518 staff members. LEA Global firms’ combined annual revenue totals more than $2.6 billion. In the United States, many of LEA Global firms stand out as leaders in their markets—17 of their firms rank in the Top 100 U.S. firms. The LEA enables us to maintain our independence, while working with other member firms to provide the ultimate in client service. To COMMUNICATE accessible, affordable resources that support area nonprofits. To CONVENE nonprofit professionals to network, share best practices, and foster relationships, encouraging nonprofits to support one another. To CREATE affordable leadership development opportunities which are largely unavailable to nonprofit professionals in our community. Our mission is to be a leading accounting services firm in the markets we serve by creating value for our clients by providing high quality, innovative services. We will maintain an environment that recognizes the people of Brady Ware as our greatest asset and develops our team members to their fullest potential. This in turn will continuously improve our ability to serve our clients. Building collaborative relationships with our clients is the cornerstone of our business and the number one responsibility of every team member. A Brady Ware advisor becomes part of your team, providing experienced and caring service that will drive your success. Every member of our team enjoys professional challenges and plentiful opportunities for training, growth, and development. In addition, we maintain a positive work environment and promote a healthy work/life balance. We are also committed to continuously improving the communities in which we operate by supporting the local arts community, humanitarian efforts, charity fundraising activities, and by serving on the boards of important community-oriented organizations. Brady Ware is founded in Richmond, Indiana. The firm expands into Ohio, opening the Dayton office with three full-time team members. Brady Ware merges with a local Dayton firm led by William I. Schoenfeld and becomes Brady, Ware & Schoenfeld, Inc. This merger increases our team to approximately 40 members and significantly expands our expertise. The company continues its Dayton expansion via additional mergers. Our team grows to approximately 60 members. We enter the Columbus, Ohio, market by merging with Shaw & Shaw, a leading CPA and financial consulting firm. We expand into the south by merging with Marsh & McConnell, P.C., an Atlanta CPA and financial consulting firm. We begin to serve a new group of clients after merging with Nipps, Brown, Collins & Associates, a Columbus CPA and consulting firm focused on providers of long-term care. We expand services with an International Tax Practice, led by Richard Gimbert, CPA, CGMA out of our Atlanta area office. We merge with GrossDukeNelson & Co., a CPA and consulting firm that provided tax, audit and business advisory services to a variety of industries, including professional services firms, manufacturing, real estate, technology and nonprofits in the Atlanta, Georgia market. Its significant international tax consulting practice enhance Brady Ware’s existing services, particularly in expatriate tax consulting. We merge with RKN, a CPA and consulting firm that provided audit, tax, and advisory services to professional services firms, manufacturing, real estate, agriculture, and non-profits in the Richmond, Indiana market. Brady Ware is a leading regional accounting firm, with more than 150 professional team members, serving clients throughout the Midwest and in Georgia in a variety of industries. We bring business owners the knowledge and vision they need to move their business forward by providing a breadth and depth of expertise in a wide range of accounting, financial, and business consulting services. And we accomplish this objective with a personal and collaborative touch not commonly found.